Blek le Rat, Godfather of stencil art and one of the greatest Parisian graffiti writers, presents a series of all new work from November 19, 2011 at San Francisco's 941 Geary. The exhibition, 60/30, will be the largest assembly of Blek le Rat material ever assembled. The title pays tribute to his age, 60, and the thirty years he's been creating. 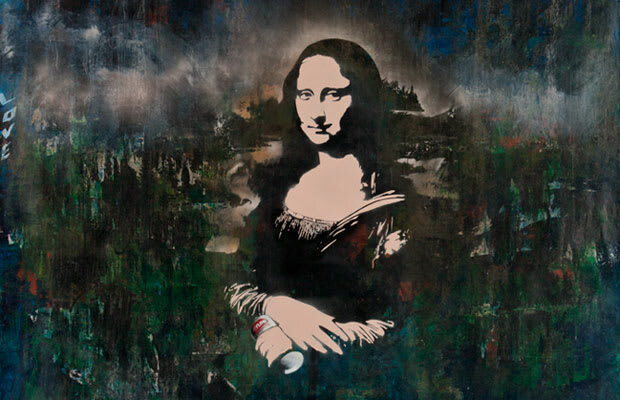 Blek le Rat pays tribute to NYC legend Taki 183, riffs off the Mona Lisa, and much more. One of the most significant street art shows of 2011. Check out a full preview of 60/30, New Works by Blek le Rat.